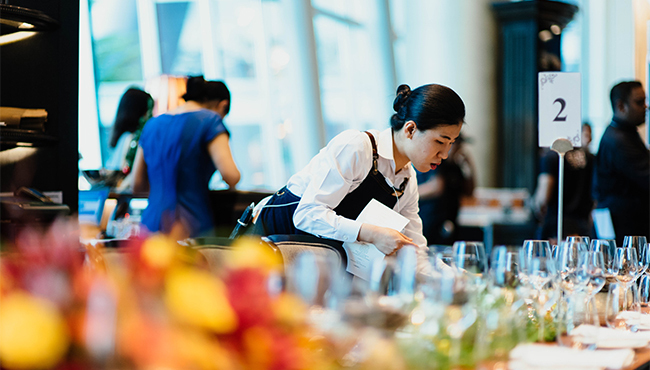 There’s no denying it — 2019 is projected to be an exciting and, better yet, profitable year for the hospitality industry. With the consumer-driven evolution of personalisation, the widespread embrace of emerging technology and a promising rise in travel spend, industry leaders are predicting exciting momentum and growth as we look to the future. In fact, in 2016 global online travel sales totalled $564.87 billion U.S. dollars, and this figure is projected to grow to $755.94 billion U.S. dollars this year. PwC also predicts a supply growth of 1.9% and a RevPAR growth of 2.8%. Statistics like these are music to hotelier's ears as the industry appears on pace to generate more profit and guest experiences than ever before. However, the question becomes — is your hotel in a position to capitalise on this momentum? Do you have the tools in place to truly identify and maximise the revenue potential of your property? Alternatively, is your hotel is merely picking up what’s left behind by more progressive competition? In order to identify the true profit potential of your hotel, it’s important to consider each revenue stream and its prospective value. We have transient business, which hotels have notoriously prioritised over the years, as well as ancillary revenue and group/events business. Moreover, while each revenue stream earns its respective place within a hotelier’s revenue management strategy, the group business segment has been notoriously (and wrongfully) neglected. You might even wonder — why have transient business and ancillary revenue traditionally occupied a higher position than group business in the eyes of hoteliers, despite its strong revenue potential? The answer is actually quite simple. It’s not due to the group segment itself; in fact, hospitality executives predict that group may represent their strongest segment in 2019. Rather, group business has suffered due in large part to the on-going realisation that the group process has been broken. For both the hotel and the planner/organiser responsible for securing a group reservation, the traditional booking process was commonly time-consuming and rife with frustrations. Most of these setbacks could be attributed to the painstakingly manual format, a by-product of lacking management technology at that time. There was often no connection between Sales and Catering (S&C) and existing revenue management systems and no connection between the website and S&C, either. Further, a manual process meant an influx of manual touch-points, participants and steps in the booking process. From leads to sales managers, to coordinators and revenue managers, the process of responding to RFPs and confirming group bookings was often unable to keep pace with the speed at which prospective reservations were being generated. The time lag from inquiry to response was taking several days (or not happening at all), which not only wasted valuable resources but also accumulated missed revenue opportunity. For any hotel hoping to optimise their group business segment profitably, this became especially problematic. We also have to address the issue of unqualified leads. In respect to group business, RFPs represent a massive accumulation of work to be done on behalf of the hotel. Expending valuable resources and time on said work only makes sense if it translates to profit; however, this cannot be the case when a large majority of those RFPs are entirely unqualified. In other words, until now, many RFPs were (in a sense) a shot in the dark. Planners simply didn’t have access to the information they needed to vet prospective venue spaces effectively, so they were forced to cast a large net across various hotels and hope they land a property that could fit their needs/availability. Without an efficient (and ideally automated) process in place to deter/filter through unqualified RFPs and streamline the vetting and booking process, the cost of sale becomes too high, and conversion rates are much too low. Once again, this was largely in part due to lacking technology. The level of work associated with the group business sector can be directly rooted in the capabilities offered by a hotel’s management technology and booking platform(s). Fortunately, modern revenue management systems and booking platforms effectively automate the group booking process while ensuring the group segment can reach its true revenue potential. Hotels can finally accelerate the RFP process, publish live availability and promote last-minute venue space, streamline communications with prospective planners, view reports/analytics and forecasts at a glance and confirm bookings and receive payments all within a comprehensive online portal.